If you are put up in Chennai, you are a lucky soul. 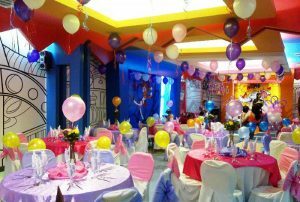 The place is surrounded with amazing locations to celebrate birthdays, marriage, engagement, team outing, anything and everything. Chennai is the perfect place for yummy south Indian treat, fun and get gather. This is the dream destination for all romantic couples. If your partner’s birthday is around the corner, this post is totally for you. Surprise your partner with a special birthday treat this year. 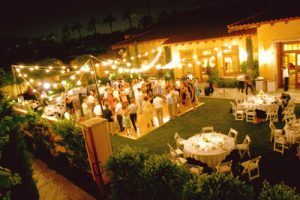 Choose the best venue to throw a superb celebration and make your partner’s day special. Enjoy at the finest resort, which has traditional Mangalore tiled roofs that slope downwards. This resort with its sun drenched beaches is at ECR, Muttukadu. Taste the delicacies of various cuisines on the beach front restaurant. Rooms get the charm as they overlook the lush green garden. You can feel relaxed at the Thai spa and get energized at the gym. Walk hand in hand on the tranquil shores with your loved one on this special day. Embrace the serene ambience of greenery in this best resort. This serene beach resort is at Chinnakupam road, Vettuvankeni. It is near our famous ECR . Multi cuisine restaurants are in a relaxed atmosphere and serve you the best food from all parts of the world. The luxury beach villas offer you a wide spectrum of facilities. It is in a tranquil ambience and is spread over on one and half acres of lush green lawn. Just have a romantic chat and walk hand in hand on the beach, and let the special day be filled with romance. Have a memorable birthday in the resort where heritage meets modernity. The green meadow with its luxuries ambience is a perfect destination to make the birthday romantic. This resort with its ethnic ambience and the accommodations which resembles the traditional homes of Kerala is at Palavakam road. You can stay in the deluxe cottage made out of timber from Balli Islands or in a superior accommodation, which is a replica of ancient homes of aristocratic family. You can relish the best foods from Kerala with your loved one on the special day. The culinary experts prepare the high quality sea foods. 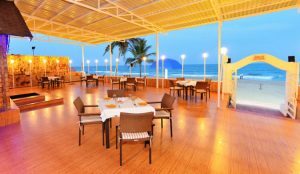 If you are a sea food lover you will love to celebrate all your birthday each and every year in this resort. Hold hands and chat by having a walk on the open lawns! Experience the ethnicity of Kerala on this special day. So, take enough photos, where ever you celebrate, rejoice the happy moments spent it stay in memories forever and let you celebrate your birthday again in the resort you loved. So, choose the best one for the birthday of your soul mate!! Let the birthday be a special one, showered with blessings. Check out http://zenithbuzz.in/ for amazing travel blogs!!! Thanks for publishing my work.